OTTAWA — The Ottawa REDBLACKS added some Canadian content to their defensive backfield on Friday, announcing the signing of 29-year-old Toronto native Ryan Hinds. 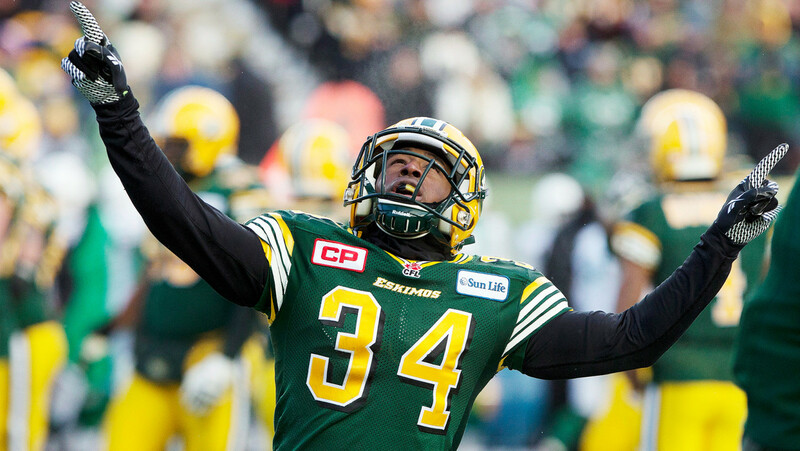 Hinds, a University of New Hampshire graduate, is a seven-year CFL veteran fresh off winning a Grey Cup Championship with the Edmonton Eskimos. He became a free agent on Feb. 9. Hinds offers height at 6-foot-1 and the ability to play multiple positions in the secondary, including safety. Last season he recorded 23 tackles, a sack and a forced fumble in 11 games, playing a depth role on Edmonton’s eventual Grey Cup-winning defence. He spent three years in Green and Gold after suiting up for the Ticats for his first four CFL seasons. Hinds was originally a second round, 13th overall pick in the 2009 CFL Draft. The REDBLACKS also announced the signing of defensive lineman Kendall Montgomery along with the release of veteran defensive lineman Justin Phillips.